The Harvard Club of San Antonio & the Harvard Latino Alumni Alliance SIG invite you to Global Networking Night at Paramour! 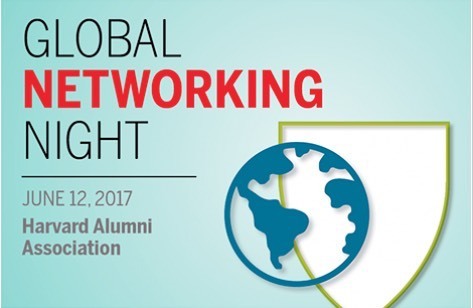 The Harvard Club of San Antonio and Harvard Latino Alumni Alliance SIG are excited to host their second of two 2017 Harvard Global Networking Night on Monday, June 12, 2017. Harvard's Global Networking Night is open to Harvard students and alumni, and their guests. We hope to see you there! Registration: Registration is free. Please register here! Thank you! Food will be provided by HLAA and HCSA. Happy hour drinks will be available for purchase. Questions? Please contact Sofia Bahena, President-Elect, Harvard Club of San Antonio & San Antonio Local Coordinator of Global Networking Night for the Harvard Latino Alumni Alliance SIG, at sbahena@mail.harvard.edu.